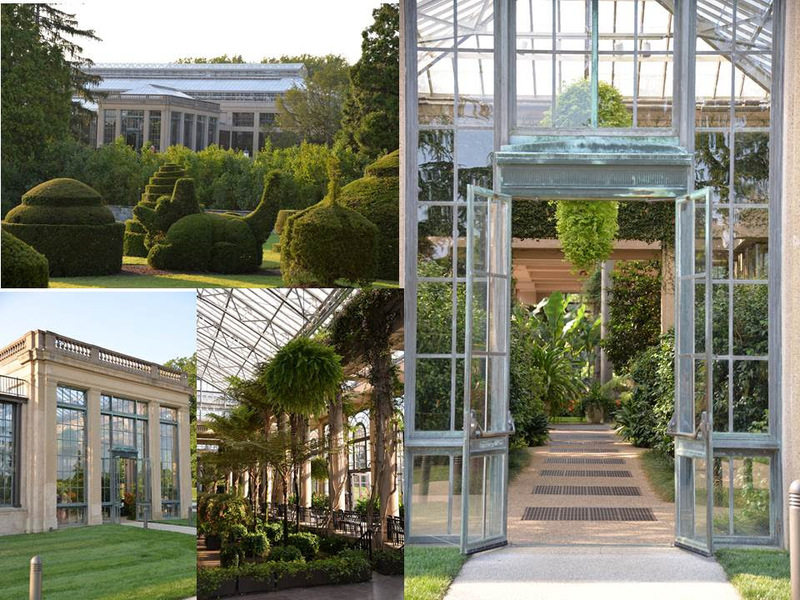 Originally purchased from William Penn in 1700 by fellow Quaker George Peirce, Longwood Gardens in Kennett Square, PA is one of the premiere botanical gardens in the United States. With over 1,077 acres of gardens, woodlands and meadows, visitors can experience exotic plants and native flora, indoor and outdoor displays and a full schedule of events, performances, seasonal attractions as well as educational lectures, courses and workshops. Longwood’s ‘roots’ can be traced to the native Lenni Lenape tribe that fished local streams, hunted and planted fields. In fact, many quartz spear points have been discovered around the property. In 1730, George Peirce’s son, Joshua built a brick farmhouse on the property that still stands today. 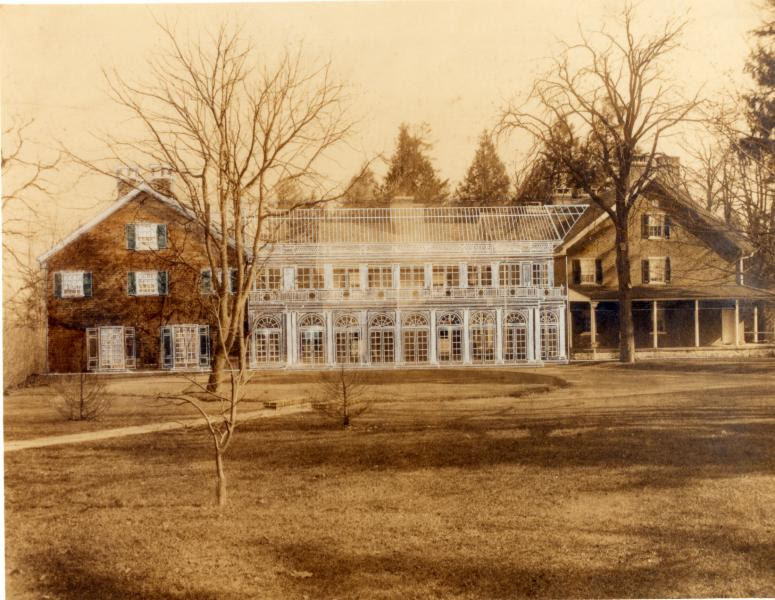 In 1798, the great-grandsons of George began planting an arboretum that soon covered 15 acres. Originally called ‘Peirce’s Park’, it has been open off and on to the public since the late 1700’s and by 1850 had amassed one of the finest collections of trees in the nation. The park became a grand venue to hold family reunions and picnics through the mid to late 19th century. Early in the 20th century, the park fell out of favor and the arboretum deteriorated due to lack of attention. Passing through several owners, a lumber mill operator was contracted to clear cut trees from a 41 acre parcel in 1906. This threat prompted one resident of the Delaware Valley to take action to prevent the decimation of such an historical landmark. 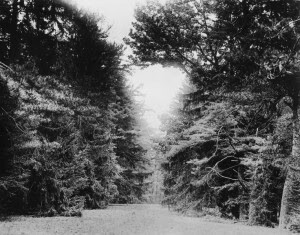 July 1906 Pierre duPont purchased the farm to save the trees – but his vision extended far beyond just saving the 41 acre tract. The expansive enhancements and improvements that visitors enjoy today can be traced back to the vision and actions of Mr. duPont. 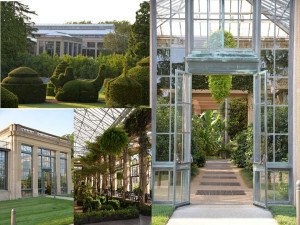 Certainly influenced by his family’s long-standing tradition of gardening and funded through his success within corporate America, Pierre DuPont would become one of the country’s most premiere and influential gardeners. duPont laid out the first garden in 1907 – a 600’ long Flower Garden Walk, which is still in existence today and continues to be one of Longwood Gardens most popular gardens. Buoyed by the recent successes of the Flower Garden Walk and the subsequent open Air Theatre, duPont was searching for a way to combat the oftentimes dreary winter. A project to extend the original Peirce house, which connected the new and old wings with a conservatory, was devised – Longwood’s first winter garden. Presented to his new bride, Alice as a wedding gift in 1915, the conservatory featured a courtyard with exotic plants and a small marble fountain. 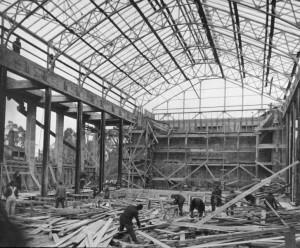 A much larger, grand conservatory was under construction by 1916. 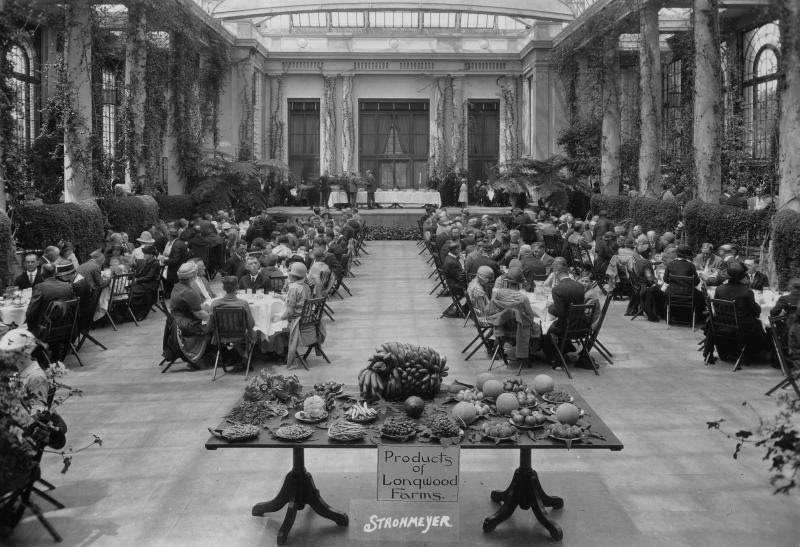 The stunning conservatory was opened in 1921 and filled not with the usual choice of exotic species that was all the rage, instead fruits and flowers were used in a decorative manner that emphasized their horticultural importance. The technology utilized was state-of-the-art for that time period and all systems (heating, water, power) were hidden in tunnels so as not to distract from the views of the glass-covered conservatory. The conservatory is a 4 ½ acre greenhouse housing 20 indoor gardens and over 5,500 types of plants. 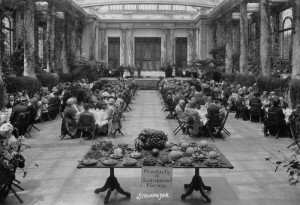 The conservatory’s Exhibition Hall, with its original sunken marble floors, has been used over the years for special exhibits and events. 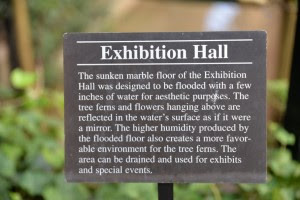 The floors are typically filled with water to reflect the foliage, but when used for events, the floors are drained. Over many succeeding years, duPont’s vision and execution of gardens, fountains and musical venues flourished. 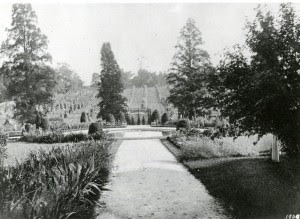 By the mid 1930’s Longwood had grown from the original 202 acres to 926. 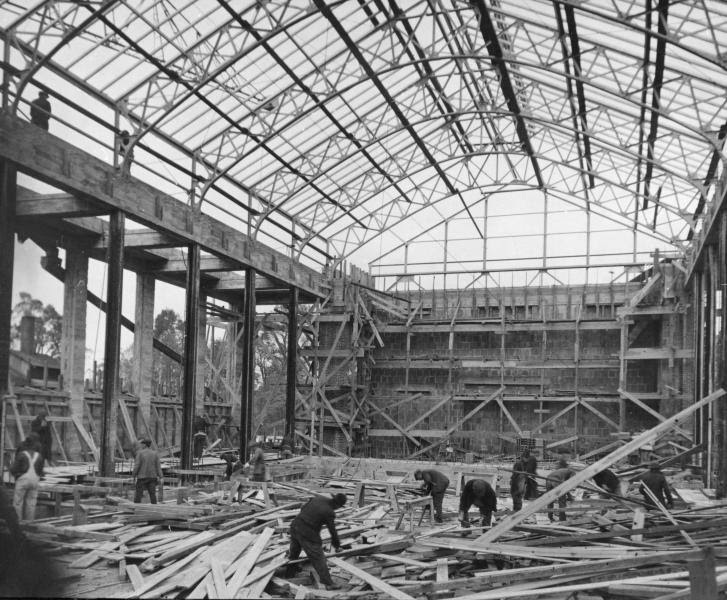 After duPont’s death in 1954, the trustees of the Foundation assumed the helm and focused on transforming the private estate into one for the public. New gardens, along with a plant nursery, an experimental greenhouse and a newly created Department of Education were created. In addition to the public-display cultivation, Longwood Gardens has had a prolific history of propagation and experimental gardening. None of these histories are more interesting than that of the V. amazonica, a freakishly large water lily that inspired and forever changed architecture! Two and a half years ago, Longwood Gardens near Kennett Square in southeastern Pennsylvania, built and opened a new entrance to their East Conservatory Plaza. This “green wall” was made from almost 3,600 modular panels that are mounted on a steel framework. Each panel holds a variety of plants. There are 17 restroom pods, threaded together, and housed behind these panels. The conservatory handles close to one million visitors each year and the need for more restrooms and a desire to add a new grand entrance to welcome those visitors was the driving force behind the new entrance. 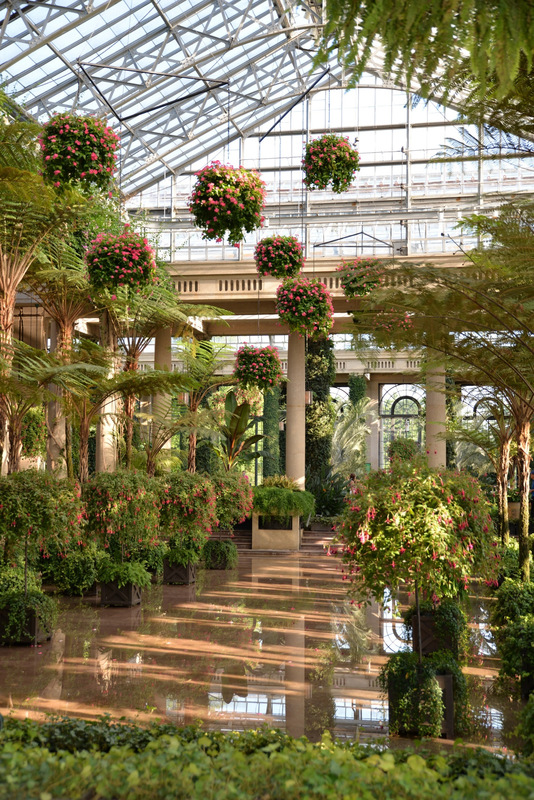 These walls, containing over 47,000 ferns, foliage and other plants, start at the floor and go all the way to the ceiling, just below the skylights. The walls contain an irrigation channel running through each panel that makes the system completely self-watering. There are some sections that are up to thirteen feet tall, which made the selection of plants a challenge since the lighting conditions change during the year. The design team conducted light studies to determine what the lighting and shadow conditions would be and selected plants that would thrive in those changing conditions. 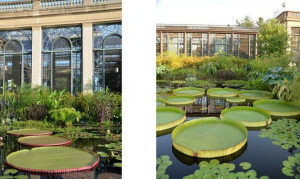 Longwood Garden’s conservatory houses 5, 500 plant varieties in its 20 indoor gardens. It was built in 1919 and has been expanded and renovated over the years. Currently, there are 195,668 square feet of greenhouses, that are used for display, production, and research. The East Conservatory was originally built in 1927-28 by Pierre du Pont and renovated during 2002 – 2005. The original greenhouse was used for non-hardy azaleas and rhododendrons that were late-winter bloomers. The current greenhouse is home to fragrant shrubs and flowering trees. This is notable because Pierre du Pont originally purchased the land in 1906 to save the trees. This purchase turned into a life-long project for du Pont, who created many different gardens, that eventually became Longwood Gardens. This entry was posted in Uncategorized on October 29, 2018 by GCGCwebmaster.